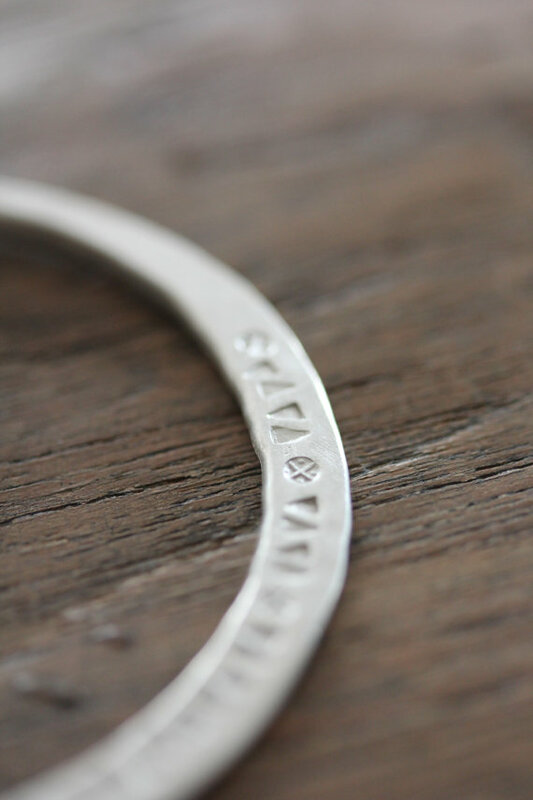 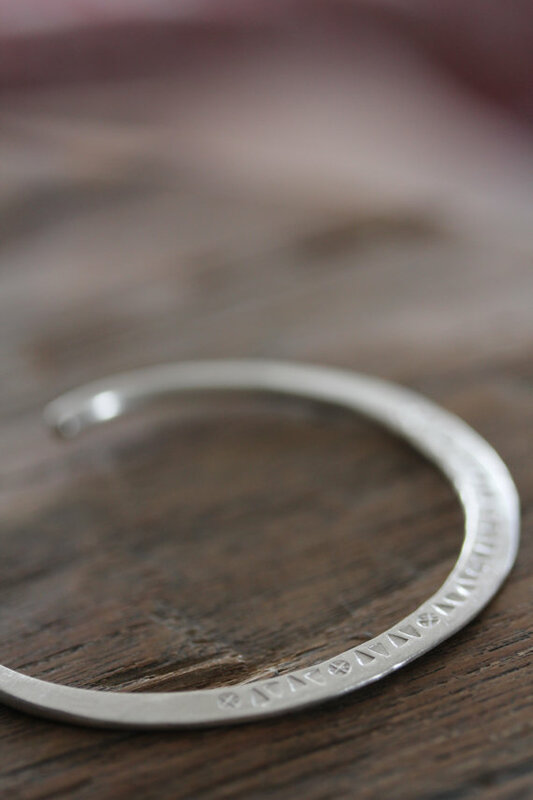 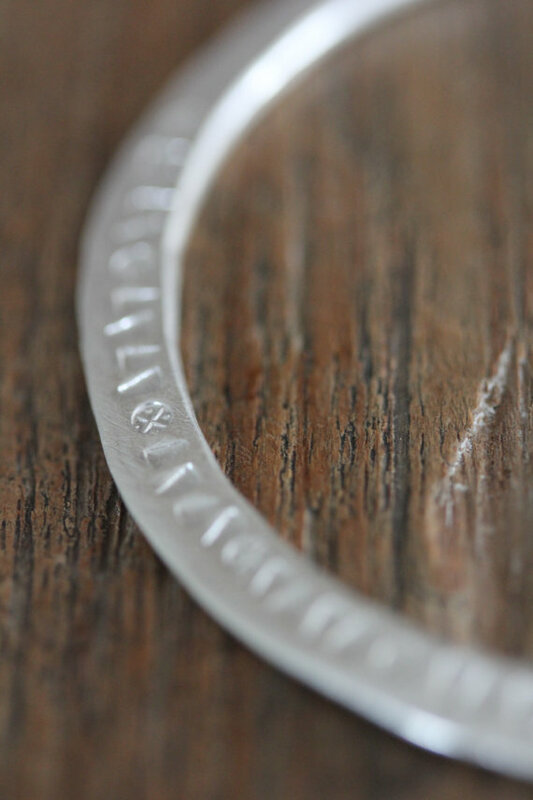 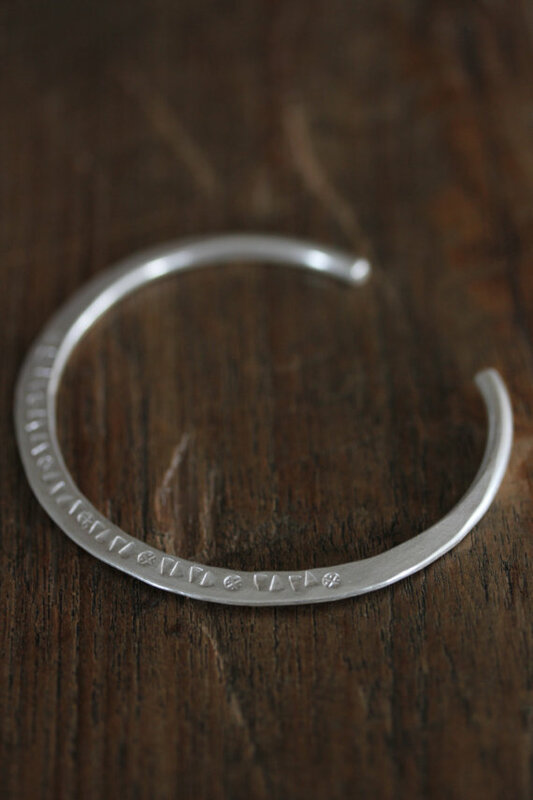 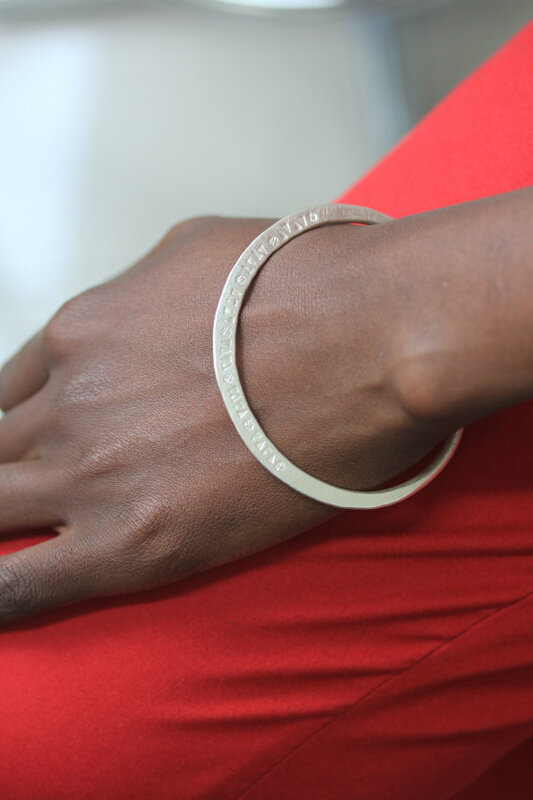 This handmade silver bangle bracelet is our interpretation of typical hill tribe cuff silver bangle bracelets. 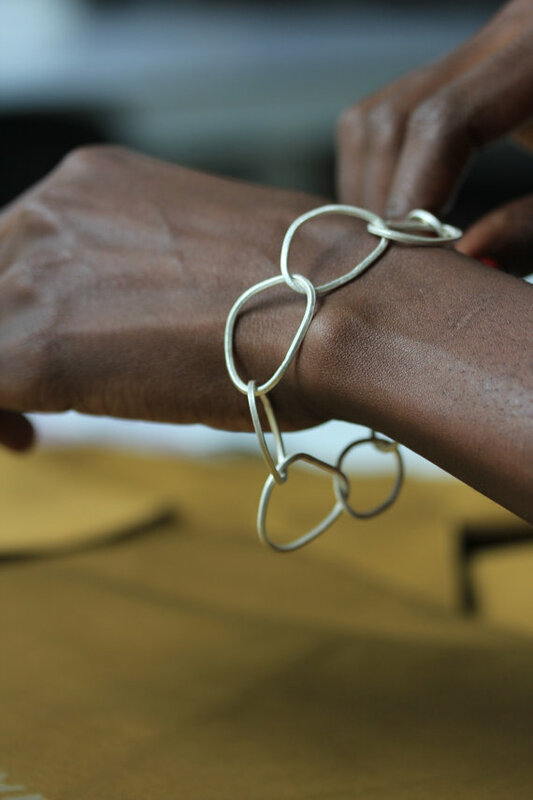 It can fit most wrists as it is slightly adjustable. 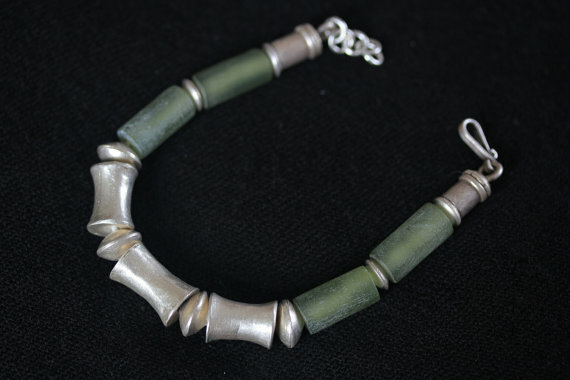 In the middle, the surface is flattened and hand stamped with typical hill tribe geometrical motives. 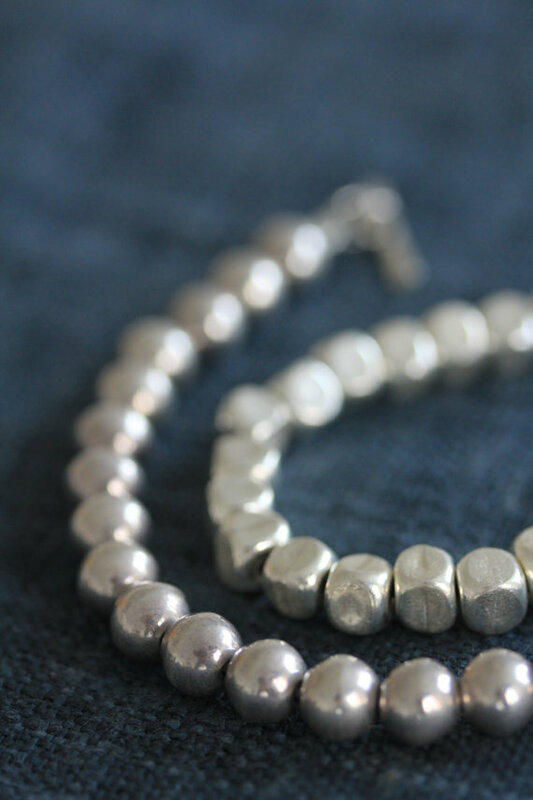 It is made from a thick silver gauge that is flattened in the middle. 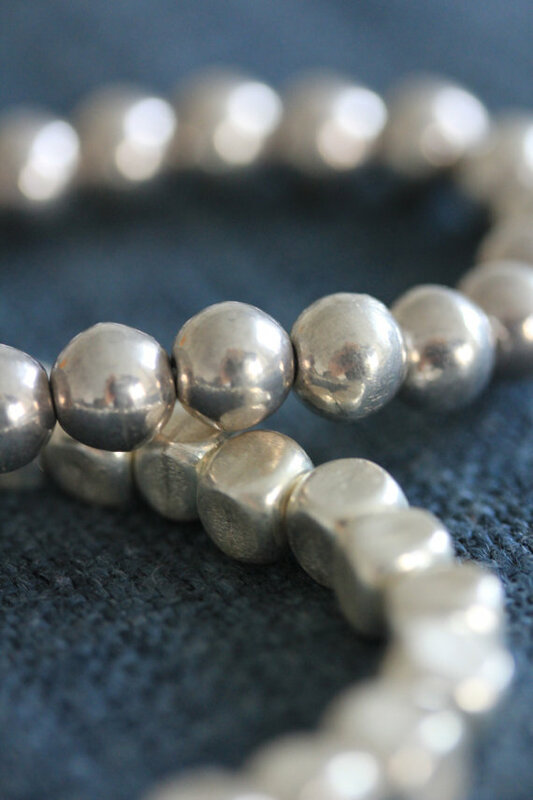 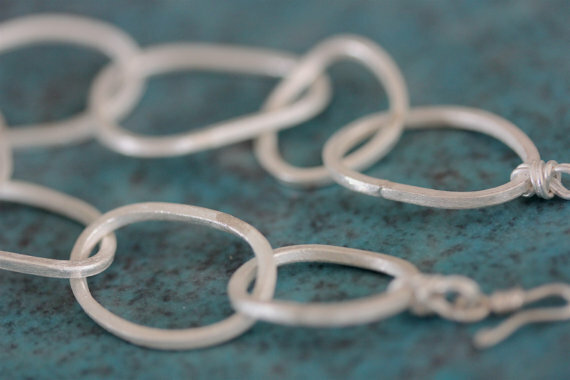 This kind of bracelet would traditionally be worn by men or also as an anklet, and it is especially nice when combined with other bracelets/bangles.